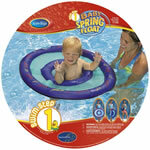 How to use the bathtub for your baby's first swimming lesson! 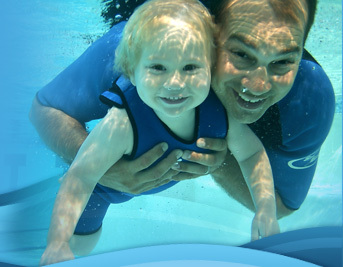 Your Baby's First Swimming Lesson! As a new parent, you want to do everything you can to protect your baby, which is one of the primary objectives of this DVD. 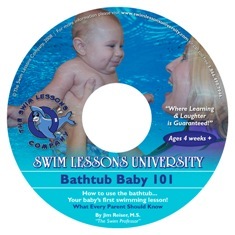 You want to prepare your baby for a lifelong love affair with the water, and Bathtub Baby 101 is the beginning of that journey. 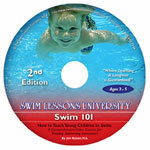 The water is also the perfect medium to enhance your baby's physical, mental, emotional, and social development. Bath time is about to become one of the most enjoyable parts of your day as you bond with your new baby! 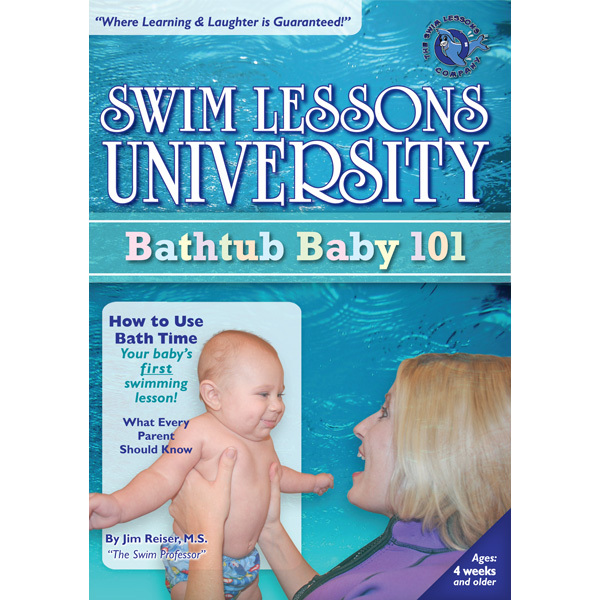 In fact, you are going to be so thrilled with Bathtub Baby 101 -- you will wonder how you would have ever survived without it!